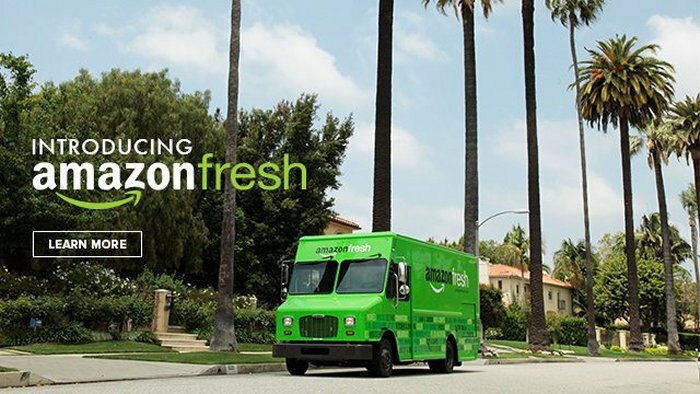 Amazon has mastered nearly everything else, so now it is trying grocery delivery through a service called Amazon Fresh. It is available in only a few locations right now. They will likely take this service national soon, after first launching in Seattle and later expanding to Los Angeles and San Francisco. Now a new report suggests that the Amazon Fresh New York City launch might be coming soon. It may even happen as soon as next month. Re/code is reporting that Amazon Fresh might go live in New York City by October. It looks like Amazon has been collecting food inventory in a warehouse in Avenel, N.J. in preparation for the launch next month. The warehouse is about 25 miles from Manhattan. One source says that Amazon Fresh may be expanded to Philadelphia soon as well because the company would simply use its Avenel facility to supply customers from there. Same day delivery can be obtained if orders are placed before a cut-off time in the morning, those who place their orders after that will get them the next morning. To use this service Amazon Fresh customers pay $299 per year for a Prime Fresh account and this includes same day or next day grocery delivery as well as other products like books and gadgets. I’m sure Amazon will succeed here, but it may take some time to go national.